The Patient Protection and Affordable Care Act, more commonly known as ObamaCare, begins January 2014 has a provision for Catastrophic Coverage -this coverage is only for a specific group of Americans. What are the other Healthcare Exchange Plans? The standardized plans are Bronze, Silver, Gold, and Platinum. These plans must include essential health benefits before you meet your deductible or out-of-pocket max, certain plans and individuals qualify for federal premium subsidies and federal cost-sharing subsidies, and these plans are defined by the percentage of cost-sharing from 10-40%. Click here to compare Bronze, Silver, Gold, and Platinum plans side by side. For help signing up with any of the Healthcare Exchange metal plans call 800-930-7956. 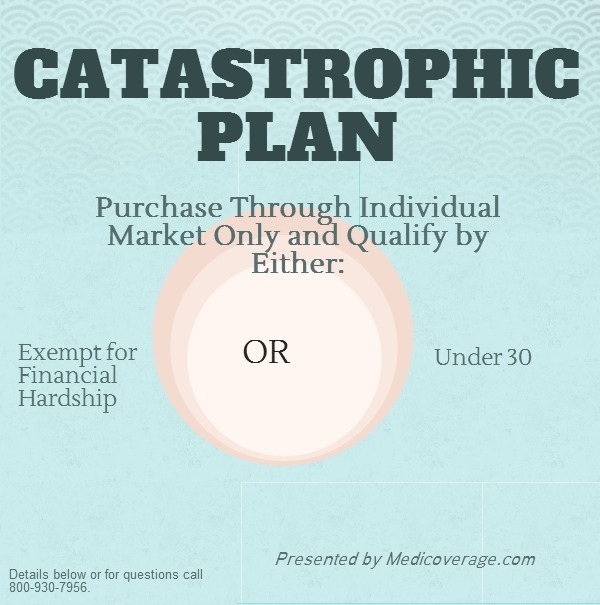 For any further questions about Catastrophic Plans in your state contact Medicoverage. dentists that Denti-cal said to call and they are not doing the prefabricated crowns anymore. We definitely know how frustrating it can be to not get the care that is necessary. You can get a dental quote here, and then you’ll be able to see how each plan covers crowns. If you need further help call 800-930-7956, and we’d be happy to find a plan for your son.